Thinking Wilder Kaiser could be the perfect place for a holiday home? Domus Global has a selection of ski properties in this family friendly resort. Check out this guide to learn even more about things to do and places of interest! 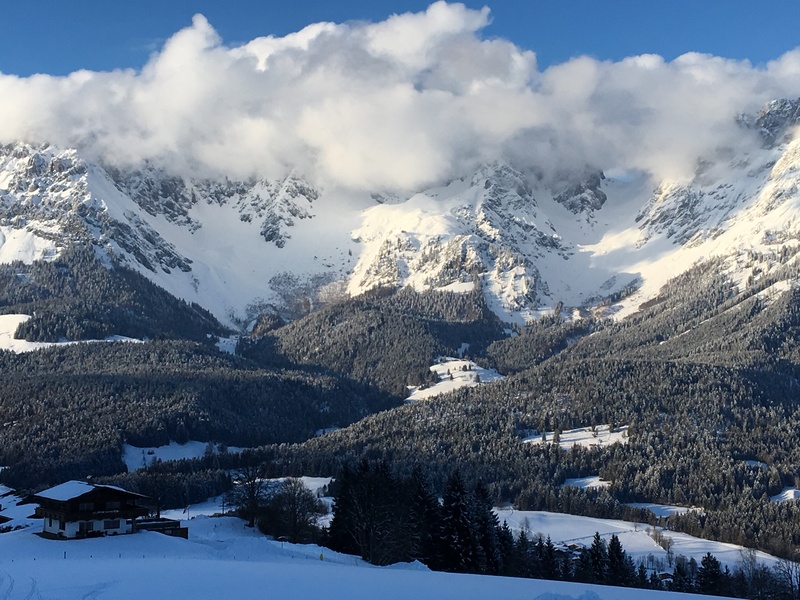 Whether you are looking for a peaceful family friendly resort or a top ski centre with the most modern infrastructure, the SkiWelt Wilder Kaiser - Brixental arena will not disappoint you. The winter resort is renowned for its relaxed character and family vibe, but it also offers cutting-edge winter facilities, perfectly prepared terrains and over 280km of interconnected slopes, making it one of the world’s greatest skiing areas. Don’t miss: Visit some of the beautiful shooting locations of “Der Bergdoktor”, the well-known Austrian series or set off on a multi-day hike around the Wilder Kaiser massif to enjoy stunning mountainous panoramas. 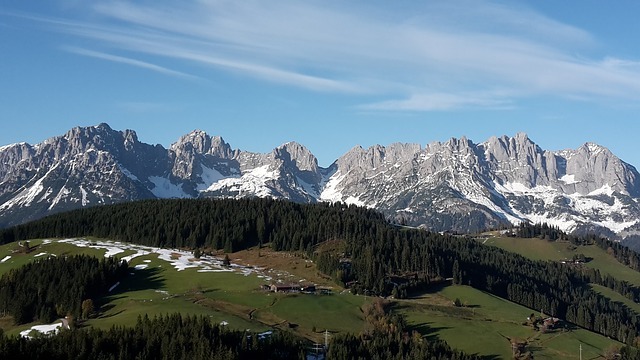 The Wilder Kaiser region includes the main mountain range of the SkiWelt Wilder Kaiser - Brixental in the northern Kitzbühel Alps and is the home of several picturesque mountain villages including Ellmau, Going, Scheffau, Söll and Brixen im Thale. The area is clearly at its best in winter with varied perfectly maintained slopes and amazing offer of other sport activities. But with its stunning views of the imposing Wilder Kaiser massif and lovely unspoilt countryside, it is also a very popular area in summer with a varied choice of outdoor activities. Its year-round appeal means that the area retains lively atmosphere throughout the seasons. Although less known internationally than the Kitzbuehel ski area, the Wilder Kaiser has nothing to envy to its trendy neighbour. Its skiing terrain is one of the best in the world - 284km of pistes out of which 245km have snow-making facilities ensuring a good snow coverage across the resort, excellent infrastructure reducing waiting times to minimum and increasing comfort for visitors. The resort’s focus on families and skiing beginners is second to none - throughout the area, you will find numerous fun and nursery slopes, ski schools and countless activities to entertain the whole family from husky trips to fun parks. For lovers of tobogganing, there are 5 toboggan tracks covering over 14km and you have a choice between romantic forest trails or more sporty and steeper runs. The idyllic countryside at the foot of the Wilder Kaiser also lends itself perfectly to cross-country skiing. Whether you start at the Blattltrail in Going or on the Sunnseittrail in Söll, you will encounter well-prepared terrain with beautiful views. There is also 113km of winter walking trails. 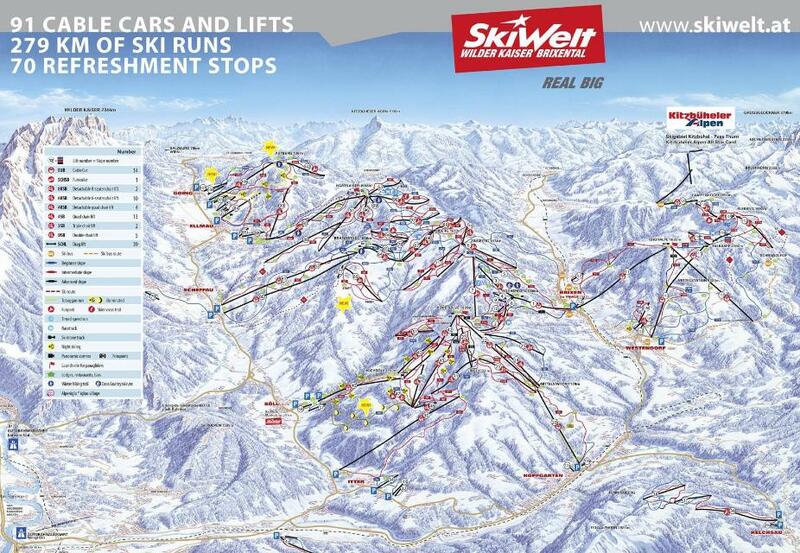 From mid-May to end of October, lifts remain in operation for hikers and mountain bikers. There is a dense network of tracks that lead through some very varied landscapes, be it narrow passages through rocks or gentle paths on the green pastures. If you are looking for adrenaline and challenges, there are some more strenuous hikes to test your physique - you could join one of the guided hikes with a professional climber on via ferratas or do a multi-day 65-km hike around the Kaiserkrone. There are so many options! Again, the focus on families with kids is obvious and with the range of activities on offer and places to visit, you can easily prepare a fun and varied itinerary for your holidays. There are 3 adventure parks in the area: Ellmi’s Zauberwelt with fairies and elves which you will find at the Hartkaiser, the Hexenwasser Hochsöll with its water games and the KaiserWelt Scheffau. When it gets hot, you can visit the KaiserBad Ellmau with its slides and water attractions or simply have a bath in the idyllic Badesee Going. For golf fans, possibilities are endless - whilst the 27 hole Wilder Kaiser golf course directly at the foot of the majestic mountains makes Ellmau one of the most scenic golf resorts in the alps, you could also try the less formal 9 hole Mühlberghof golf course also in Ellmau. Beside that, there 4 golf courses in Kitzbuehel and another 7 within an hour drive. As everywhere in Austria, culinary experiences are an integral part of the fun. A pitstop at one of the mountain huts is mandatory - try one of the Tyrolean specialties like barley soup, “Brodakropfen", “Kaiserschmarren" or “Gröstl”. You also have the option to reserve a “breakfast in the mountains” whereby you set off early on a morning hike and enjoy some home-made bread with herbal spreads and other organic produce at one of the hilltop inns with the Wilder Kaiser as backdrop.